A special blind box is being offered by Mezco Toyz to celebrate St. Patrick’s Day. The Mezco Box O’ Gold Mystery Box is priced at $50, with the promise of at least $100 in value in each box! The box contents will remain a mystery until you receive it, bu may contain One:12 Collective Figures, Living dead Dolls or other Mezco action figures. 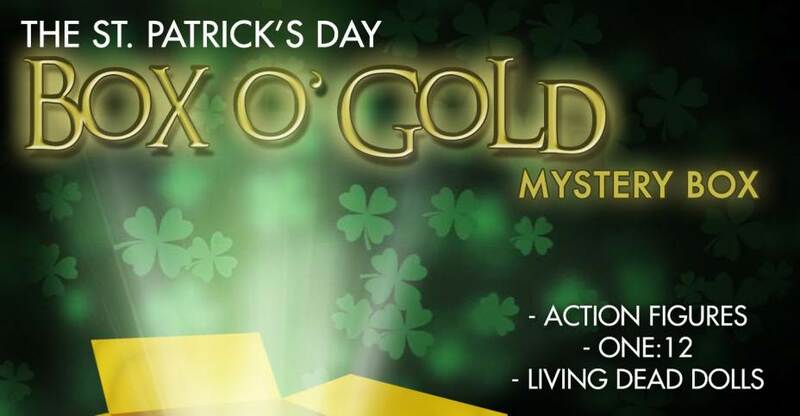 Get ready for our biggest mystery box ever: The Box O’ Gold St. Patrick’s Day Mystery Box. Each mystery box contains over $100 worth of Mezco products. Some will feature One:12 Collective merchandise. Some will contain The Living Dead Dolls products. Others may contain items from Chucky, Hellraiser III, Beetlejuice, Mortal Kombat, The Conjuring, or other lines. Because anything can happen with the help of leprechaun magic, three lucky randomly-selected customers will receive a special extra-large Box O’ Gold St. Patrick’s Day Mystery Box containing over $500 worth of merchandise! 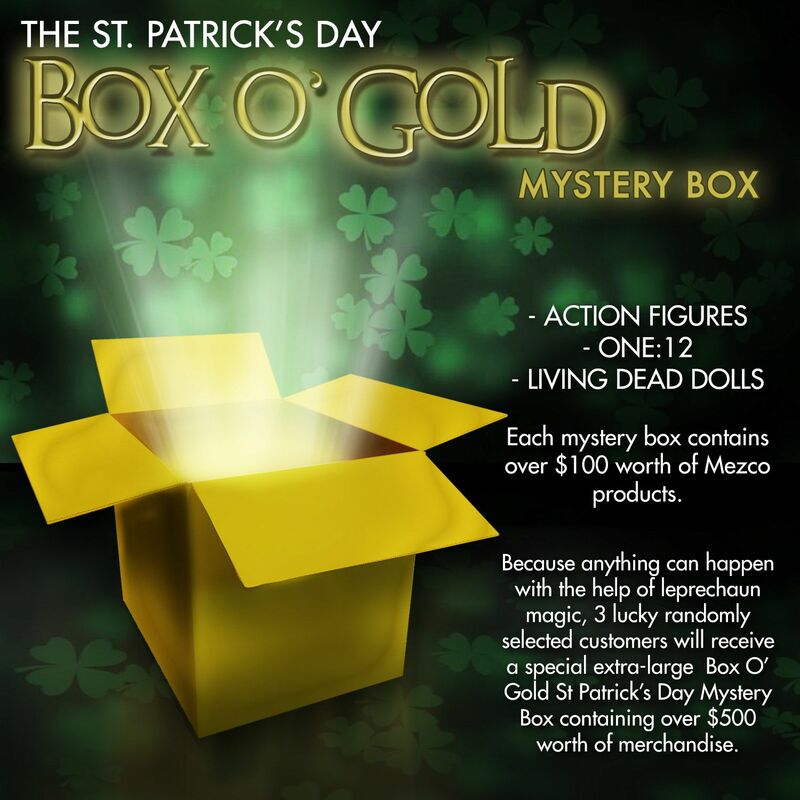 You can order your Mezco Box O’ Gold Mystery Box by Clicking Here.